Today was Day #3 of Chocolate and Citrus/Orange Theme Week. 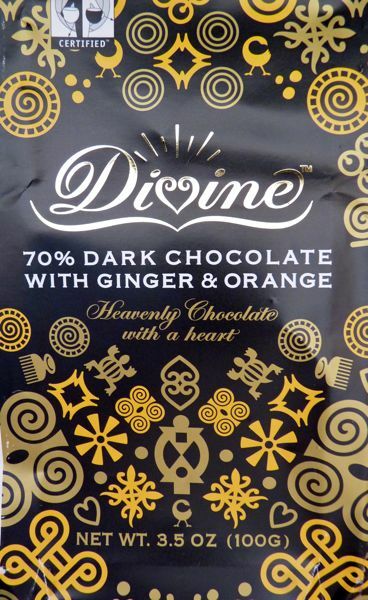 Today's 70% dark chocolate bar from Divine Chocolate (Wash, D.C.), contained small, tender bits of ginger and orange -- a naturally compatible flavor pairing. Eaten outdoors, during a warm, sunny picnic lunch, this bar was enjoyed just before it started to melt into a sheet of dark chocolate fondue. 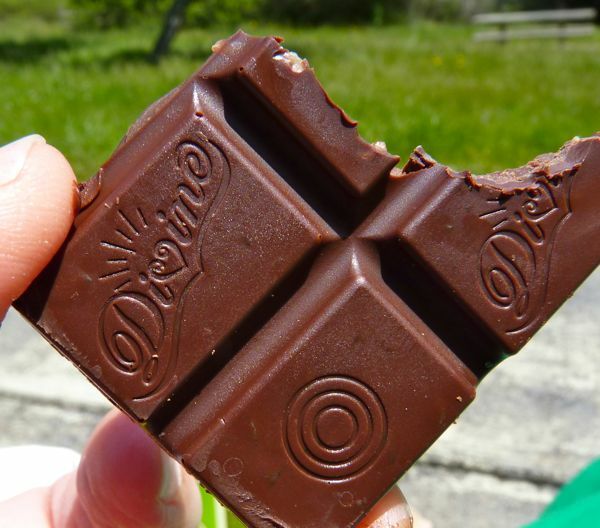 However, hot weather-induced chocolate fondue, it must be noted, is delicious with fresh strawberries, and/or bits of toast, or gluten-free gingersnaps, if you happen to have some of these other items in your picnic basket.